Be exclusively used in producing high grade pig feed,sink fish feed. 1.High power and large production,stable running,easy operation and maintenance. 2.Ring die diameter from 350mm to 768mm，the highest yield can reach 35t/h. 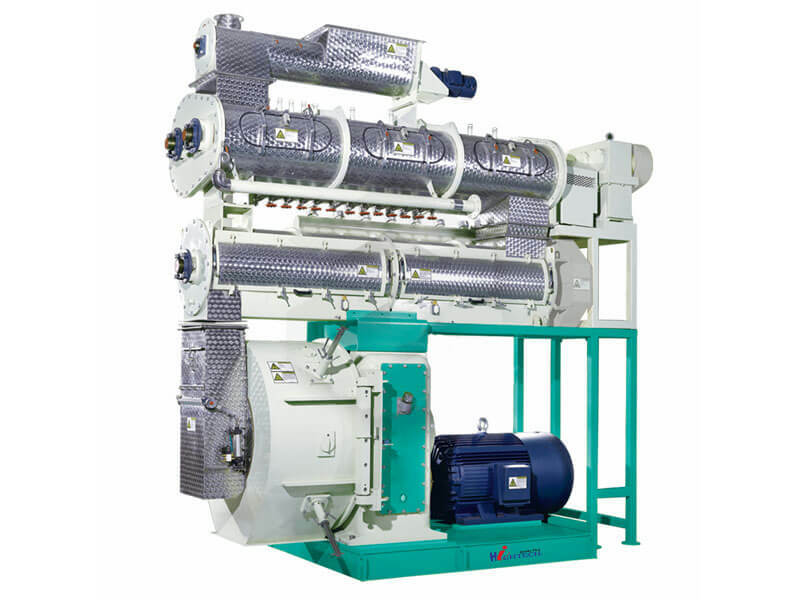 3.Double-shaft differential conditioning system greatly increases material uniformity and improves feed quality.